The RSF|ONE Static (20 x 8) provides comfortable facilities for up to 8 people and is self-contained with a generator allowing for remote location. The static welfare units many safety features makes them highly secure and anti-vandal. 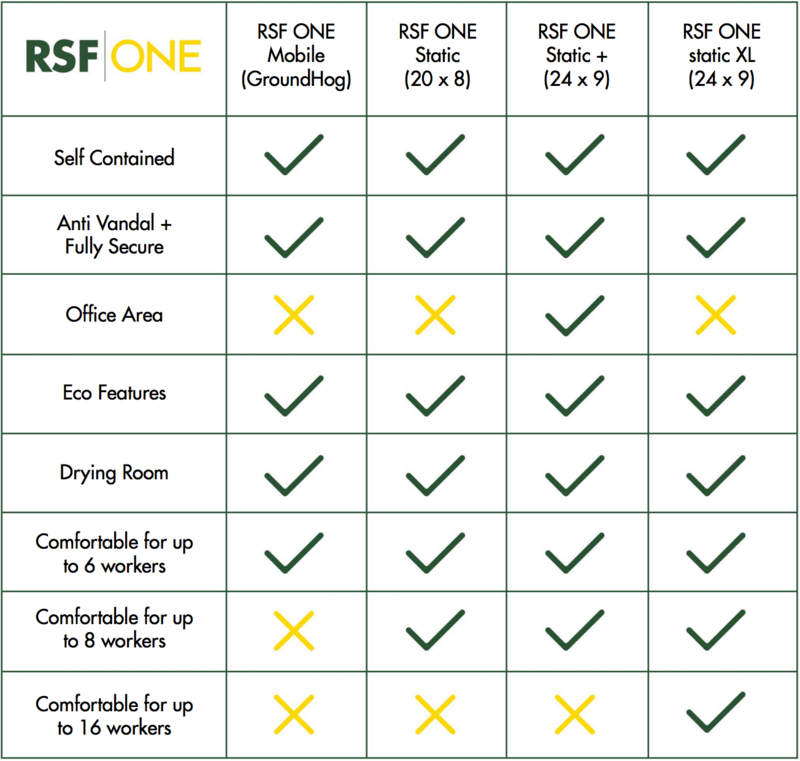 With a low noise and emission diesel generator, the ability to power additional low power consumption units and a suitably sized drying room the RSF|ONE Static is ideal for your onsite welfare requirements.